Thunder of a new nuclear test cracked in the Democratic People’s Republic of Korea. 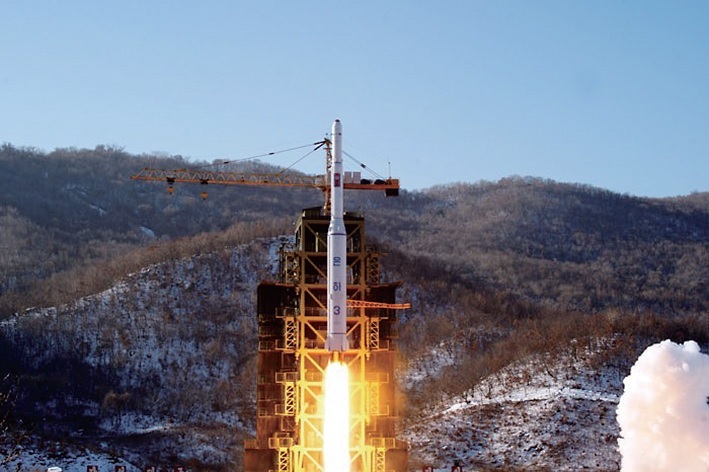 In December last year the DPRK launched its first applications satellite for peaceful purposes according to the scientific and technological development programmes intended to promote its national economic construction and the people’s livelihoods. 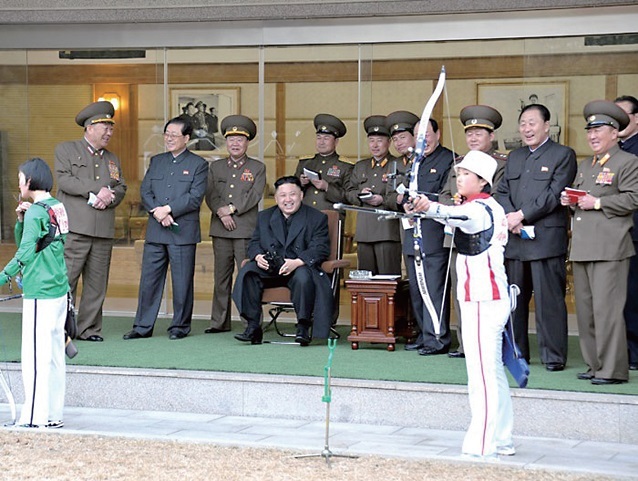 Space agencies of the Unites States and Russia officially recognized that the DPRK’s satellite had achieved its orbit. However, the United States blamed the peaceful satellite launch of the DPRK as a violation of the resolutions of the United Nations Security Council, and went further to manipulate the UNSC into adopting a new resolution on sanctions against the country. The infringement upon the right to satellite launch is just a violation of a country’s sovereignty. The DPRK, flatly rejecting that unlawful resolution, solemnly declared that it would take countermeasures to cope with the situation and safeguard its sovereignty and dignity. This is the reason why it conducted the third nuclear test. The DPRK Foreign Ministry stated that it had neither a need not a plan to conduct a nuclear test originally, for its nuclear deterrent has already reliable capabilities that can annihilate the citadel of aggression at one go with a precision strike wherever it is located on the earth. This self-reliant nuclear deterrent was the foundation based on which its leadership would concentrate its efforts on the economic construction and the improvement of the people’s standard of living. But the US is now intensifying the hostile acts against the DPRK, encroaching upon the latter’s right to satellite launch and taking the lead in implementing the UNSC’s sanction resolution. Under such situation, the DPRK was compelled to change its original plans. The nuclear test it conducted this time represented its towering resentment at the hostile acts of the US and demonstrated its thoroughgoing will and inexhaustible capability to safeguard its sovereignty to the end. The US and its allies are making much fuss about the DPRK’s third nuclear test, which is a just measure based on international law. It is the United States that has constantly threatened the DPRK with nuclear weapons for over half a century. Entering the 21st century, it even officially designated the latter as one of the targets for nuclear preemptive strikes. There is no other way than to counter nukes with nukes, and it was a legitimate self-defensive measure for the DPRK to prepare its nuclear deterrent to cope with the increasing nuclear threat of the US. It thus withdrew from the Nuclear Non-Proliferation Treaty through legal processes and built its self-reliant nuclear deterrent in order to defend the supreme interests of the nation. The 60-odd-year history of the United Nations has so far witnessed over 2 000 nuclear tests and 9 000 satellite launches conducted on this planet, none of which was criticized severely by the UNSC resolutions. There is another fact that should not be overlooked. It is the United States that outnumbered any country in conducting nuclear tests and launching satellites in the world, and other permanent members of the UNSC also take an absolute majority of them. However, it is also none other than those permanent members of the UNSC, including the US, that cooked up such a resolution banning the DPRK’s nuclear test and satellite launch. It cannot be interpreted otherwise, but an application of double standards, nay, extreme of the brazen-facedness. The international community began to perceive the United Nations Security Council from a different viewpoint. It realized that the “international justice and impartiality,” “global peace and security” and suchlike frequently clamoured by its permanent members were hypocritical acts to conceal their real intentions and true colours. Once their veils of hypocrisy are dropped, it has laid bare the disgraceful entity of the UNSC that its member nations would run wild in pursuit of their own interests and bargain with each other in settling the issues directly related to the destiny of other nations around the world. If the UNSC had given a little heed to the international justice and impartiality, its lifeline and the fundamental principles of its activities, it would not have denied the sovereign state’s legal right to exercise its self-defence and peaceful activities of science and technology. It is strange, on the contrary, that it has never called in question the US policy of nuclear preemptive strike which exposes the international peace and security to the gravest threat. The UNSC fails to perform its mission invested by the international community, but covers the veil of “international legitimacy” over the high-handedness and arbitrariness of the arrogant imperialist power engaged in the acts of aggression on and intervention in internal affairs of other countries. It is arousing disapproval and lamentation among the world people with conscience and intelligence. It is, therefore, not accidental that the international community appreciated the DPRK’s nuclear test as a thunder of justice inflicting a punishment on injustice. 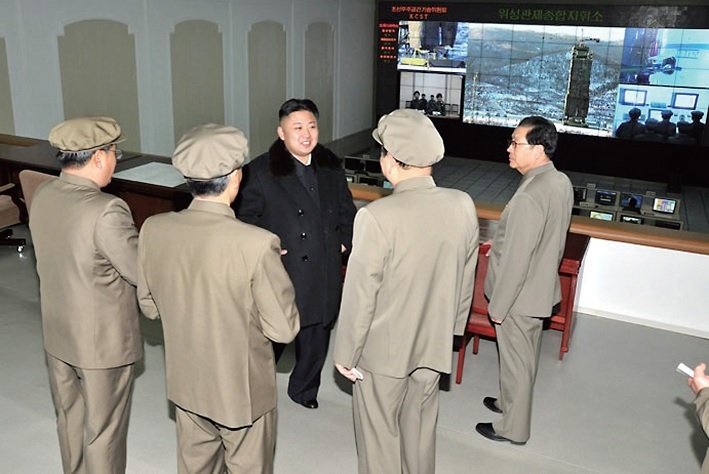 The DPRK declared that it was the first countermeasure it had taken by displaying its self-control to the maximum. If the US should render the situation complicated by resorting to tenacious hostile acts against the DPRK, the latter will be compelled to take the second and third countermeasures of higher intensity. The latter will regard such acts as the search of its vessels and the naval blockade clamoured by the US and its followers as an act of war, and deal its merciless retaliatory blows at the formers’ citadels. It means, in other words, continuous thunders from the DPRK.